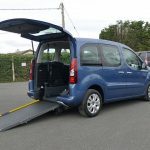 Another one of our best selling Berlingos – a compact wheelchair accessible vehicle with a rear folding seat creating more space for the wheelchair user to enjoy and an easy vehicle to manoeuvre. 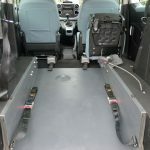 Converted by Yeomans, this WAV has been adapted with a lowered floor in the rear creating the internal height required for a wheelchair user to fit comfortably and safely when out and about. 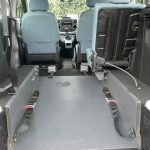 The tailgate at the back opens up (handy for keeping dry if its raining too), revealing the two-piece, non-slip ramp that is lowered to create the slop to push the wheelchair user up and into the back. 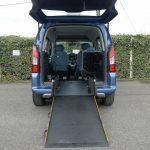 The front inertia belts are released from their housing and attached to the upper part of the wheelchair when it is at the bottom of the ramp. 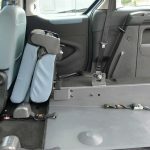 Once in the position required, the rear wheelchair restraints can be fixed to the back of the wheelchair and then tightened so that the wheelchair is firmly in place. 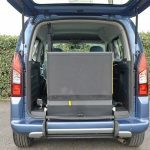 Its just a matter of clicking the safety belt around the wheelchair user, making sure that they are comfortable, stowing the ramp, closing the tailgate and your ready for the off. 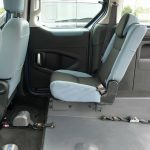 We quite often hear that the rear seat, as well as accommodating that additional passenger, can double up as somewhere to place any items required by the wheelchair user. 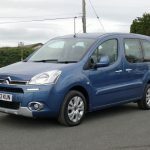 There is, of course, some more overhead storage at the front. 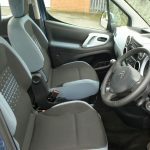 Air conditioning is included and great for keeping all passengers nice and cool on those warmer days and longer journeys. 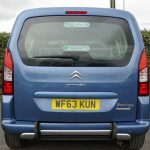 The 1.6 cc diesel engine provides plenty of power and this Berlingo really is an easy car to drive. 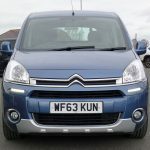 Some added features include front fog lights, daylight running lights and alloy wheels. 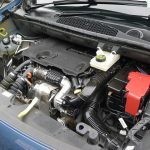 Check out the specification section included on this webpage for a full list of features. 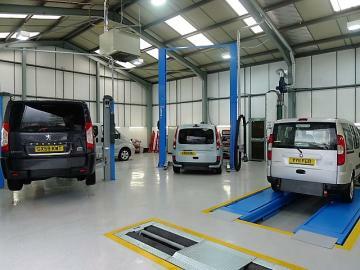 All of our quality wheelchair accessible vehicles are serviced and MOTd in our very own modern Service Department and come with 12 months warranty. 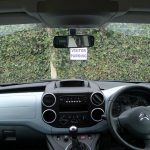 They are also valeted before being delivered to their new homes and our drivers will provide you with a full demonstration of all the adaptations on arrival.